Paradise Ponds and Waterfalls are your award winning Atlanta Area Pond Construction & Maintenance specialists. This certification involved customer’s surveys, photos of pond construction, an advisory board review and other business documentation. Aquascape inc. is the industry leader in pond equipment manufacturing, contractor training and pond installations. A Certified Aquascape Contractor is held to the highest standard of pond construction and customer service. This program is the longest standing and most recognized certification program in the pond industry. 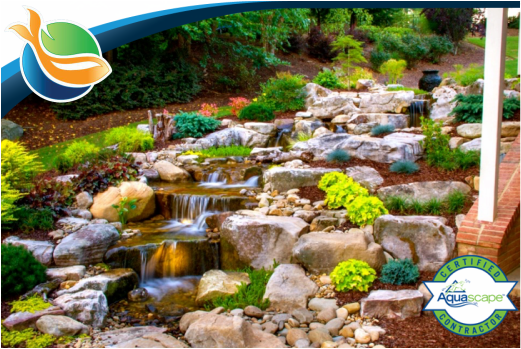 Paradise Ponds and Waterfalls has been honored by the International Professional Pond Companies Association (IPPCA) in 2012 as the 5 star pond contractor national award winner and in 2010 honored with 1st place-Best Landscaping around a pond! 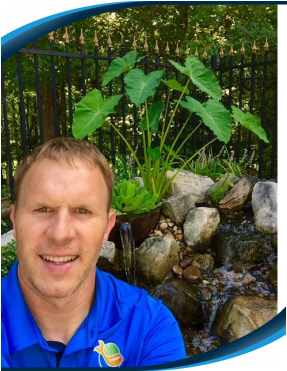 Jeff at Paradise Ponds and Waterfalls has demonstrated his ability to install professional, natural-looking water features while providing excellence in service to his customers, said Jeffrey Payton, vice president of business development for Aquascape. We're proud to have Jeff on board as a Master Certified Aquascape Contractor. Aquascape ensures that all koi pond contractors meet all standards of the application process. This certification requires continually submitting project photos and descriptions and customer reviews. Over twenty years experience working with ponds, fish and filtration systems. Built first pond 25 years ago. "It was Krenner who helped the Berg’s dreams come true. Having spoken with the couple before, he suggested the Bergs to take part in the show when asking producers to feature his company. Krenner, one of only a few master certified pond installers in Georgia, also worked with Aquascape on a “turtle pond” at the Gwinnett Environmental and Heritage Center in Buford, which will also be featured on the first episode of “Pond Stars.” The center was interested in building the pond as an interactive tool to show the school children who regularly visit how a native Georgia species would live in the wild. Krenner said the center and the Bergs weren’t alone in wanting water features to mimic nature in a realistic way.